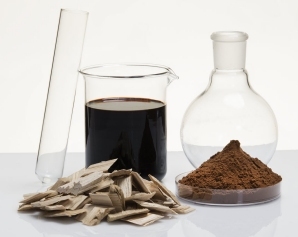 LignoTech, a joint venture between Sappi and Borregaard, produces lignosulphonates that are used as binding and dispersing agents in a wide range of agricultural and industrial applications. April 8, 2019 (Press Release) - LignoTech South Africa (LignoTech) is an equal partnership joint venture between Sappi Southern Africa Limited (“Sappi”) and Borregaard AS of Norway (“Borregaard”). The lignin extraction plant in Umkomaas, KwaZulu Natal was first commissioned in December 1998 and officially opened in 1999. The plant at LignoTech was designed to generate revenue from a previously-unused component of the effluent stream from Sappi's Saiccor mill. These are used as binding and dispersing agents in a wide range of agricultural and industrial applications. A global leader in paper, paper pulp and dissolving wood pulp solutions, Sappi Limited is headquartered in Johannesburg, South Africa, has over 12,000 employees, and manufacturing operations on three continents, in seven countries — nine mills in Europe, three mills in America and four mills in South Africa. To learn more, please visit: www.sappi.com.